"Blimey, I never realized that Norwegian international waters went as far as Chicago, Illinois, but it certainly seems that way on this excellent debut effort from Withering Soul." "Instead of all the labels fighting for a band that sounds like someone else, they should consider looking at these guys seriously because they could show the jokers out there in the scene a thing or two." 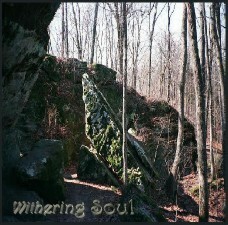 Crafting a wide variety of influences, Withering Soul seeks to evoke a sound completely of it's own, that is both fierce and majestic. Anything from bludgeoning riffs, brutally catchy rhythms, to ghastly yet mysterious melodies, are what will warm the ears of anyone that listens. Painted atop a diverse arrangement of musical passages, is the specter of both melodic singing and sinister screams. The veritable result is an orchestrated seance of dueling guitars, spiraling leads, pummeling percussion, and unearthly keyboards. The lyrical content itself, echoes of themes connected to the subconsiousness, human desire, and the supernatural. Ultimately, the band strives to create a sound that will stare into the unknown, break apart the many sub genres of Metal, and challenge the limitations of an overpopulated music scene. 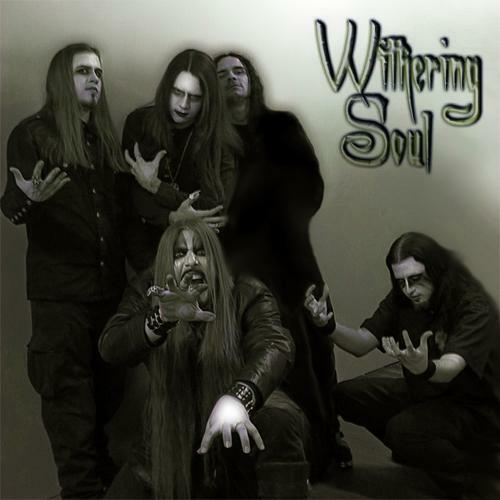 Withering Soul was founded on the eve of the new millennium by vocalist Mykil, and guitarist Krystofer in the Winter of 1999. The two began composing complete songs and released a three-song demo that following Summer of 2000. Despite it's primitive production and adolescent songwriting, the demo received a welcoming audience from both reviewers and fans alike. After a series of auditions, they recruited the drumming skills of Matt "Xaphar" Block during the winter of 2003 to complete their debut album: "Apparitions of the Surreal". Following a very strenuous, yet persistent period of recording, the album was self-released in July 2004. The final result manifested an elevated level of maturity, acquiring respect among the underground scene. In harmony with the projection of a new release, fate conjured the recent addition of young talent: William on bass, and Marek on drums, each member contributing a vital element to Withering Soul's further evolving sound. In March of 2006 the band's live guitarist, Kain joined the ranks as well. With possibly the band's most solid lineup now secure, Withering Soul plans to stop at nothing in moving forward in it's path. Such endeavors, include a ruthless array of live spectacles consistently throughout much of the surrounding geographic region. The band is also currently finishing in the studio on their second full-length album, tentatively entitled: "Beyond the Veil of Mortality". The ultimate goal of Withering Soul is to continue satisfying a loyal legion of fans internationally, with their ghastly musical art.